Standard Fume Hood is typical hood that is placed on the bench above storage cabinets. SFH is most offenly used in the QC & R&D Laboratorises to protect the scientist and chemist from harmful substances like. Heazardus gases, vapours , acidic fumes from the laboratory through exhaust sysytem. Our designed is based on Industy Demands , the Highest Quality Material and Latest Technology. Our SFH design is also known as Double Bypass Fume Hood, and it will maintain constant exhaust volume at all the sash position. 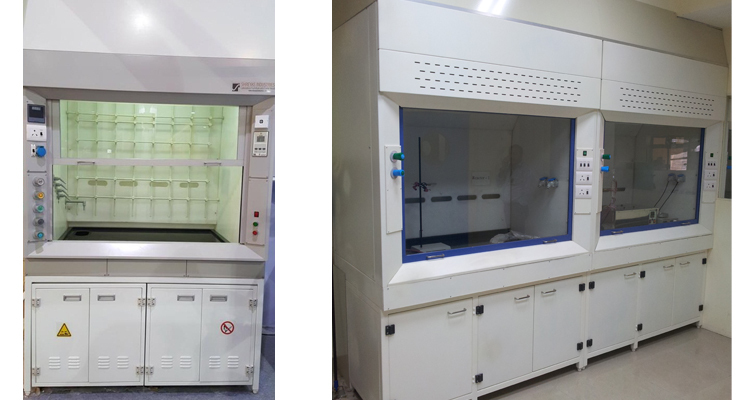 We can also make Fumehoods as per your suitable requirements.